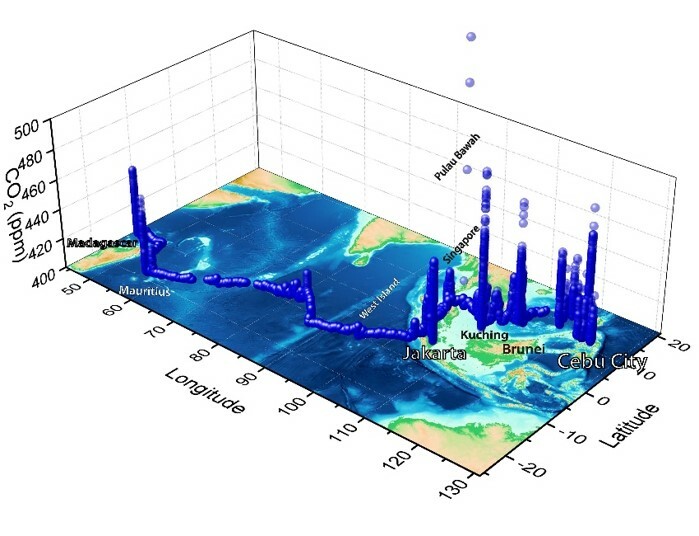 OME - The South Atlantic Ocean: another unexpected greenhouse gases sink? The South Atlantic Ocean: another unexpected greenhouse gases sink? 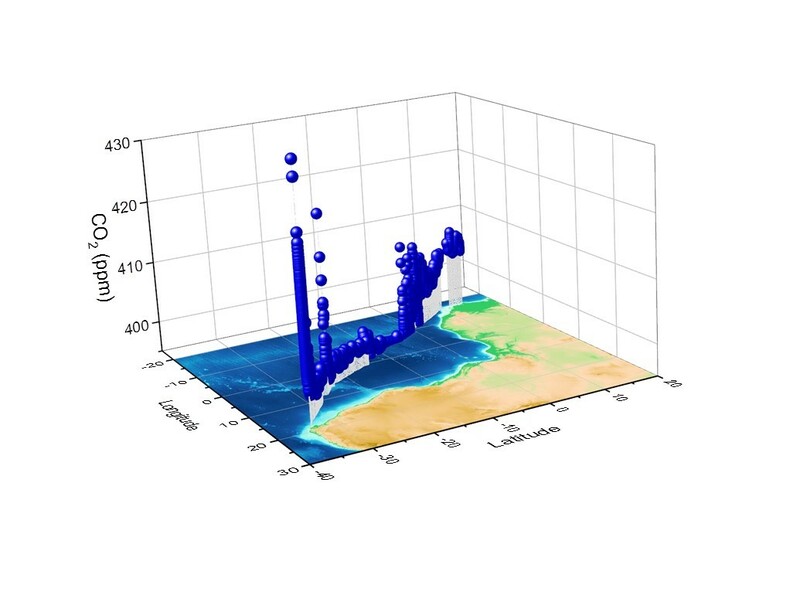 The Ocean Mapping Expedition unveils new sets of « world first » scientific data collected between Cape Town and Dakar regarding the exact role of the oceans in the carbone cycle. The Winds of Change program monitoring greenhouse gases on the surface of the oceans in partnership with the University of Geneva reveals surprisingly low concentrations of methane and carbon dioxide over the South Atlantic after similar observations in the Indian Ocean, although oceans are commonly supposed to be emitters of these gases. The Swiss expedition engaged in a four-year journey (2015-2019) around the world in the wake of Magellan aboard the Fleur de Passion sailboat to measure the human impact on the oceans and raise awareness of sustainable development issues stops in Dakar from March 28 to April 8, 2019 after four weeks of sailing from Cape Town. 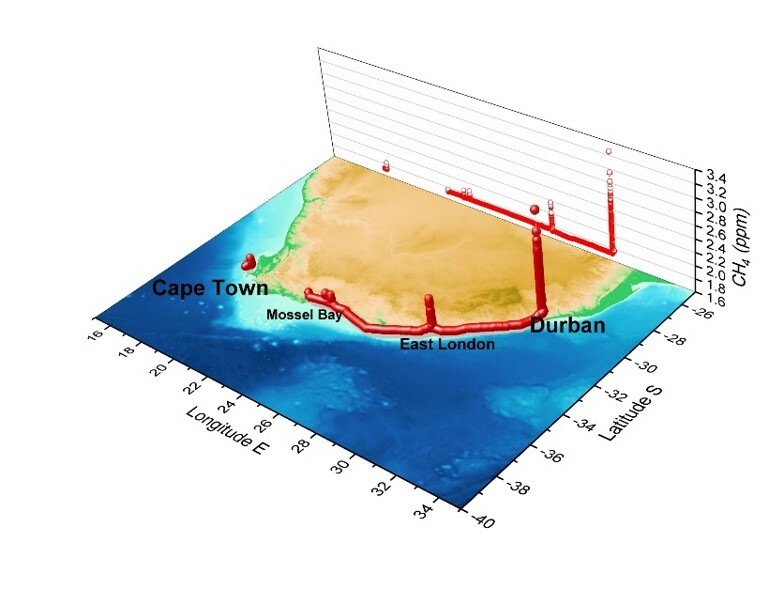 « The data collected by The Ocean Mapping Expedition between Cape Town and Dakar from 28 February to 28 March 2019 reveal surprisingly low concentrations of methane and carbon dioxide over the surface of the South Atlantic Ocean », says Prof Daniel McGinnis, head of the Aquatic Physics group at the Faculty of Sciences, University of Geneva, and responsable of The Winds of Change program along with his colleague Dr Daphne Donis. « Average carbon dioxide concentrations over the transect from Cape Town to Dakar were under 400 ppm, with the minimum recorded of 392.6 ppm (Global average atmospheric concentrations are ~410 ppm). Similarly, average methane concentrations over this transect were below 1.78 ppm with minimum recorded value of 1.7. The global average atmospheric concentration is 1.85 ppm », explains Pro McGinnis. « Our preliminary analysis of these data don’t even show the usual diurnal CO2 concentration fluctuation associated with algal growth », he says. In June 2018 after completing the crossing of the Indian Ocean from Jakarta to Maputo, The Ocean Mapping Expedition unveiled this ocean could be an unexpected sink for methane. 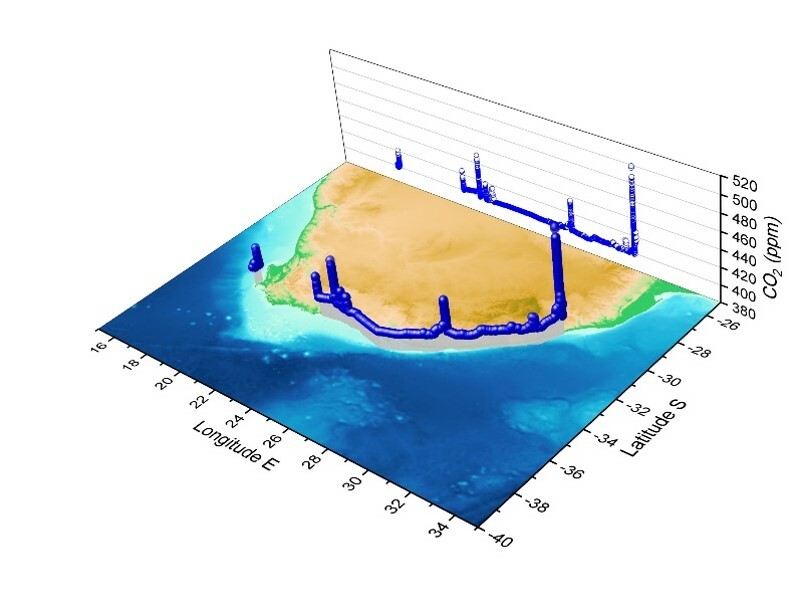 « For the first time ever, we were able to assess and quantify the near-surface atmospheric methane and carbon dioxide concentrations while performing the longest longitudinal transect of an ocean, namely the Indian Ocean », recalls Prof. Daniel McGinnis. « This unprecedented data-set showed us that the Indian Ocean continued to be an important CO2 sink », he adds. 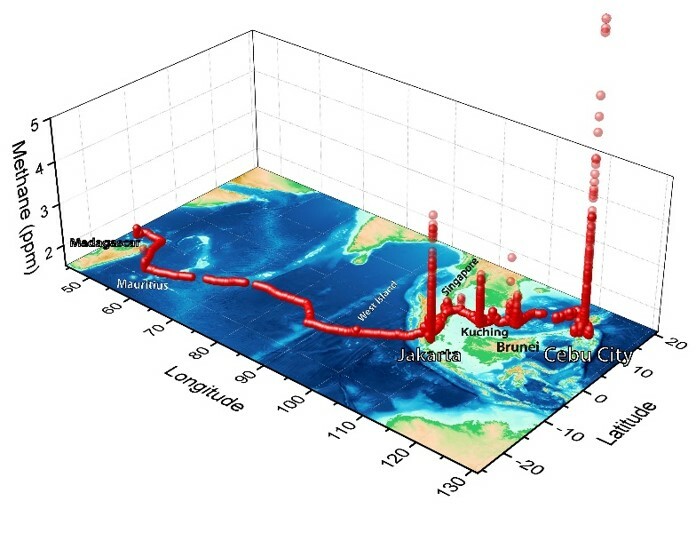 « More surprisingly, however, was that the Indian Ocean could be an unexpected sink of atmospheric methane. In general, it is thought that almost all oceans and inland freshwaters are sources of methane to the atmosphere. Over the Indian Ocean, the methane above the sea surface is consistently about 5-6% lower than atmospheric concentrations. Though more investigation is needed, it appears at first glance that the Indian Ocean may uptake atmospheric methane », says the scientist. To perform The Winds of Change program, 33m-long Fleur de Passion - a former WWII minesweeper from the German Navy converted into a ketch and now the biggest sailboat under Swiss flag - is equipped with a ultraportable greenhouse gas analyzer with a sampling port positioned 16 meters above the sea surface on the aft mast and automatically collects methane and carbon dioxide readings every 1 minute. The ambition of The Winds of Change monitoring program for greenhouse gases on the surface of the oceans is to provide the scientific community with unprecedented and reference field data and therefore to contribute to a better understanding of the role of the oceans in the current changing global climate. In view of the worrisome evolution of the climate and the resulting ocean acidification, it is becoming increasingly urgent to have baseline data available to revise our concepts on the global carbon cycle. 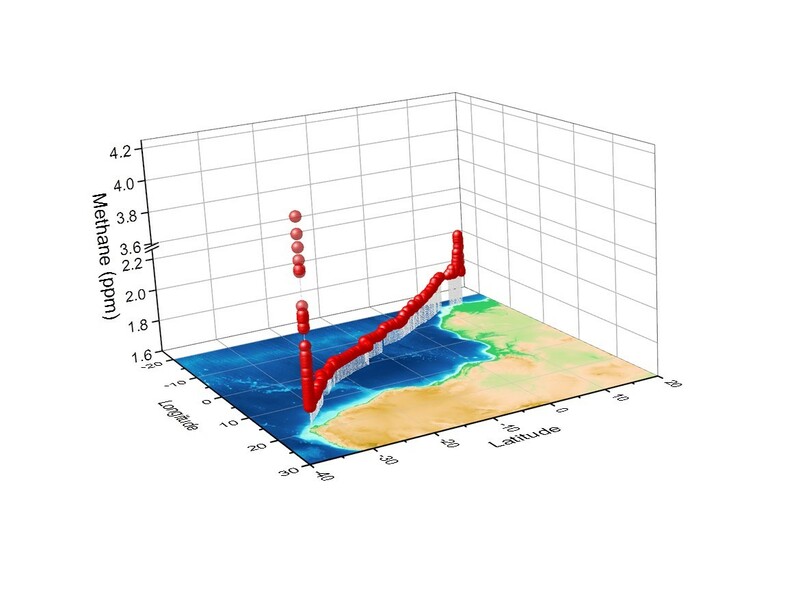 « These new exciting results of the program present a huge step forward in the project and the overall issue of climate change, and prove our approach as a very effective method to track atmospheric gases over the sea », also adds Prof McGinnis. « It provides the opportunity to access essential information at a very large geographical scale to complement that available by satellite so far at a time when the global scientific community is specifically alarmed by the lack of data on this issue », he also says. « The oceans and fresh water as a whole emit more greenhouse gases, especially methane, than previously estimated, according to recent studies », Prof McGinnis insists. It is therefore urgent to re-evaluate the role of the oceans and lakes in the global carbon cycle for a better understanding of global warming issues».